John Neumeier’s “Nutcracker” is free of any association with Christmas. 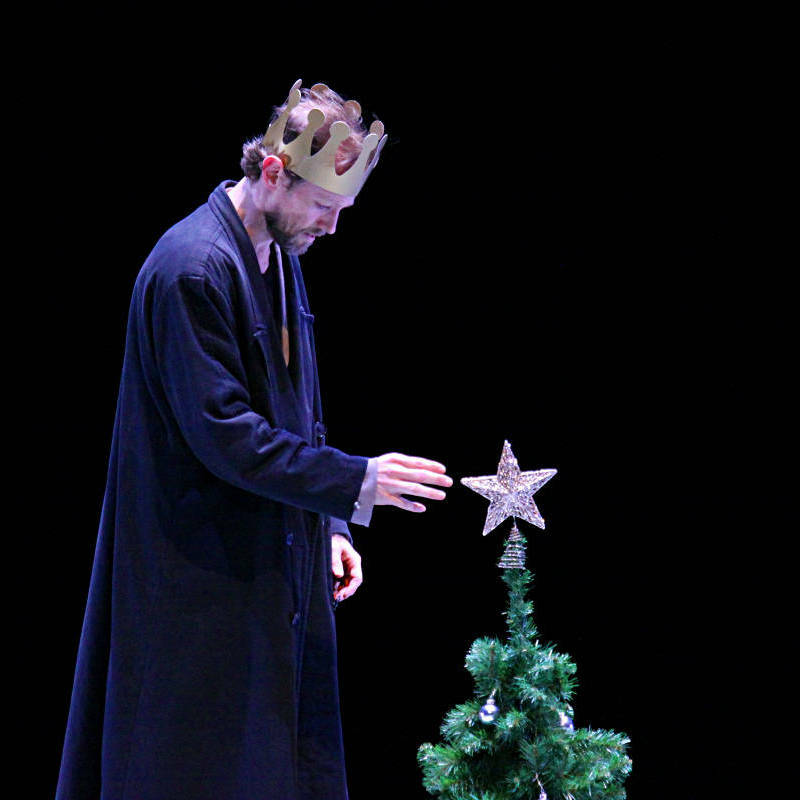 This Hamburg production, like John Cranko’s earlier version for Stuttgart, converts the winter-holiday fairytale for children into a ballet for all seasons. Substantial content has been added, and watching it becomes a pleasure for adults, too. 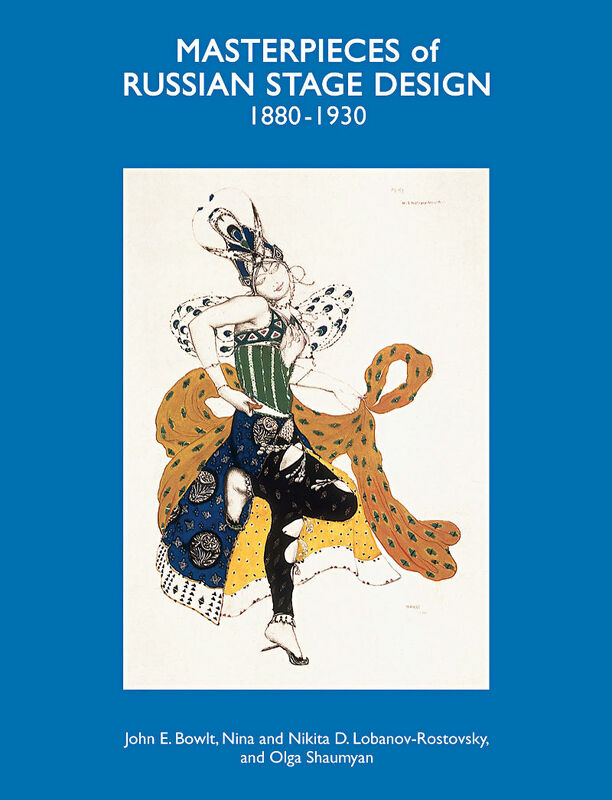 Christmas or not, this Neumeier has become a much loved classic during Hamburg’s winter season. As starting point there is the celebration of the 12th birthday of the ballet’s protagonist, Marie. The party is in full swing already when the quirky Drosselmeier arrives. He is ballet master of the court theater where Marie’s older sister, Louise, dances. Drosselmeier’s present to the birthday girl is a pair of pointe shoes, which fuel her dreams of dancing as beautifully as Louise. 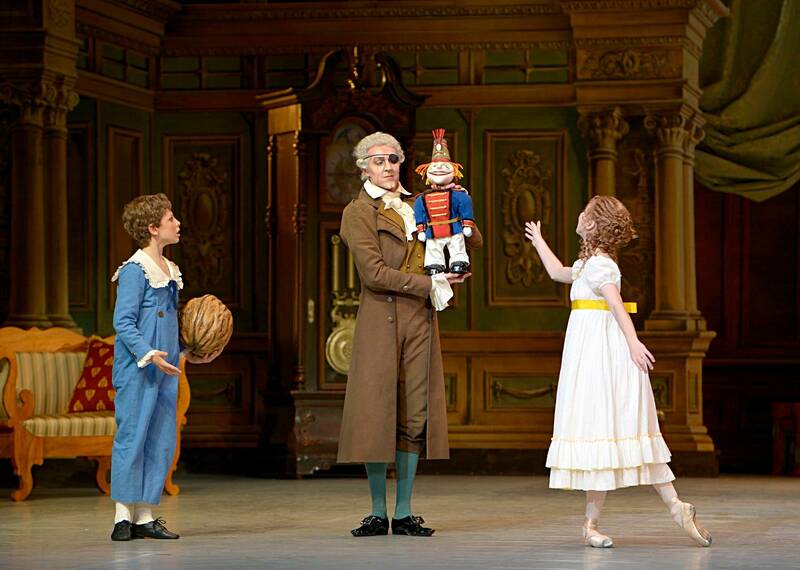 Another present, a wooden Nutcracker who becomes Marie’s companion throughout the rest of the story, is given to her by the smart cadet, Günther. Needless to say, he becomes the young girl’s infatuation. When all the party guests have departed, Marie returns to the parlor to take another look at her Nutcracker and falls asleep. She dreams that Drosselmeier introduces her into the court theater, showing her rehearsals for a ballet and for various divertissements. 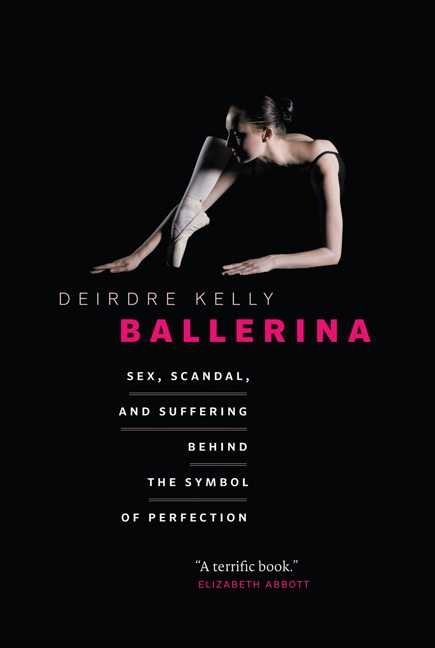 Marie, fascinated, becomes involved and even dances a pas de deux on pointe with Günther. There’s a grand climax but then, woken by her mother, Marie finds herself back in the parlor. Stuttgart Ballet, seldom lacking self-assurance, titled its new ballet evening “Ground Breakers”. 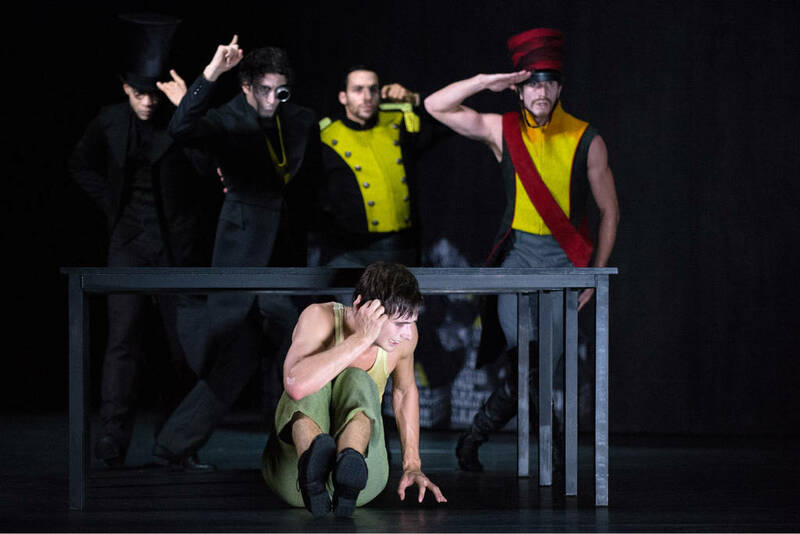 The German term “Fort//Schritt//Macher” better conveys this triple bill’s intention: Presented are works by three choreographers of different epochs, all driving forces behind European modern ballet’s progress, in short true trailblazers. And further all three – William Forsythe, Hans van Manen and Marco Goecke – are closely associated with the company or are even home-bred. William Forsythe spread his choreographic wings in Stuttgart. There he made his debut at an evening of the Noverre Society, which promotes up-and-coming talent. 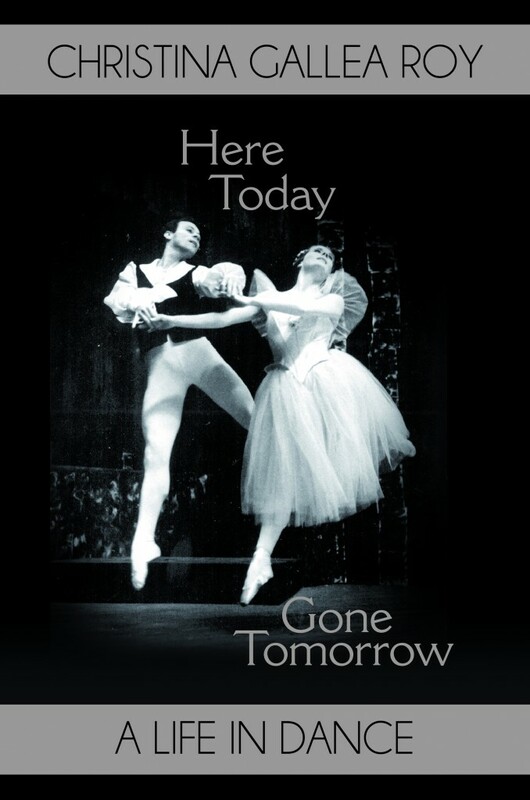 Several pieces for Stuttgart Ballet followed and, after some years as freelance choreographer, Forsythe was appointed artistic director of Frankfurt Ballet in 1984. Striving after continual development, he modernized 20th century ballet by deconstructing all aspects of ballet, reassembling the fragments into abstract and speedy movements. Off-balances and overexpansions are his hallmarks. Forsythe also became more and more interested in other fields such as literature, philosophy, media and architecture, which he draws upon for inspiration. His approach is as cognitive as a researcher’s. Though Frankfurt Ballet was liquidated in 2004 for financial reasons, Forsythe continues his search for innovation with “The Forsythe Company”, founded in 2005, which resides in Dresden/Hellerau and in Frankfurt’s Bockenheimer Depot. Murder as the Last Resort.